Yesterday Swipe launched a new Kid- friendly tablet, Swipe Junior in India and following close, HCL today announced its version of Kid’s tablet HCL ME Champ which has been priced at Rs. 7,399. This tablet is not meant for toddlers and targets a little more mature audience. This tablet comes with the parental lock which will help you decide what your kids have access to and for how many hours per day. It will come preloaded with lots of study and fun content including math, geography, Interactive books, TV morning cartoon App, art and much more. This tablet will sport a 7 inch display with WVGA resolution of 800 X 480 pixels. This is a little less and similar to what HCL is offering with tablets priced around 5K like HCL ME U3. Most tablets in this price range offer you higher 1024 x 600 pixel resolution. The processor is 1 GHz single core processor based on Cortex A9 architecture and assisted by Mali-400 GPU which will works effectively, if you are a general purpose user. The tablet sports a 1 GB DDR3 RAM which is above average and justifies the price tag to a large extent. The internal storage capacity is 8 GB and can be further extended to 32 GB using a microSD card slot. The primary camera is of 2 MP and a secondary front facing VGA camera is also present for video calling. This tablet also supports full HD video play back and employs Android 4.1 jelly bean operating system. The battery capacity of 3100 mAh lies in the expected range and the battery type is the lithium polymer battery. Connectivity features include WiFi, 3G via External Dongle and Mini HDMI. 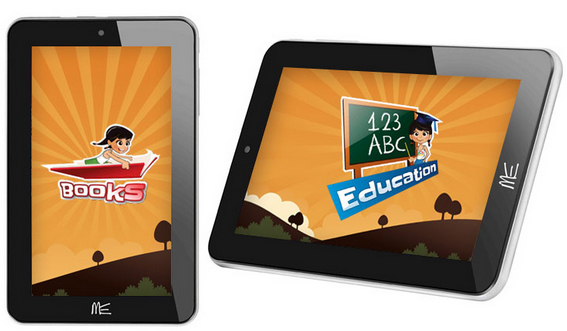 HCL ME Champ Tablet (WiFi, 3G via Dongle) is the latest tablet which is specially designed for children. Now children can enjoy experience of tablet with this HCL swipe junior tablet.